Like this track? Feel free to join Mineral’s Facebook fan page for more tracks! Esc alias Juha Riipinen is a DJ/Producer hailing from Tampere, Finland. This guy has been fiddling with music since he was a kid. Esc has explored various styles from punk to techno but after hearing Super Sharp Shooter and Square Off at the mid-90′s, there has not been a question though, what music he loves the best. Since late 90′s Esc has contributed to the scene also as a DJ. In the year 2000 he co-founded the first ever weekly d&b club in Finland with DJ Beyond from Kongocrew and has later played at various clubs and events with the likes of Seba, Noisia, Loxy, Sabre and SpectraSoul to name but a few. 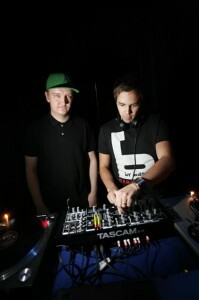 Esc is also part of the Pressure cru which runs Pressure, one of the longest standing d&b clubs in Finland. I’ve been producing, DJ’ing and arranging dnb events with Esc for years now. This 2010 VIP of Esc’s classic Kongo Tune is made for the celebration of the 10 years of Kongocrew! Hope you enjoy it. I’m gonna play the track for sure next friday at the party! I’m happy to announce that Esc’s track Lost And Found will be shortly out on Indajungle recordings with my remix of the track. Check out Esc’s soundcloud for the original track and Mineral’s soundcloud for the remix. Personally, the years with Kongocrew mean a lot to me and I’ve had the time of my life with the crew. Now it’s time to celebrate the successful years and spin all the greatest tracks next Friday at the Cut club @ Tampere Yo-talo. Check out Cut presents 10-yrs-of Kongocrew Facebook Event page and join in!